This one’s short. 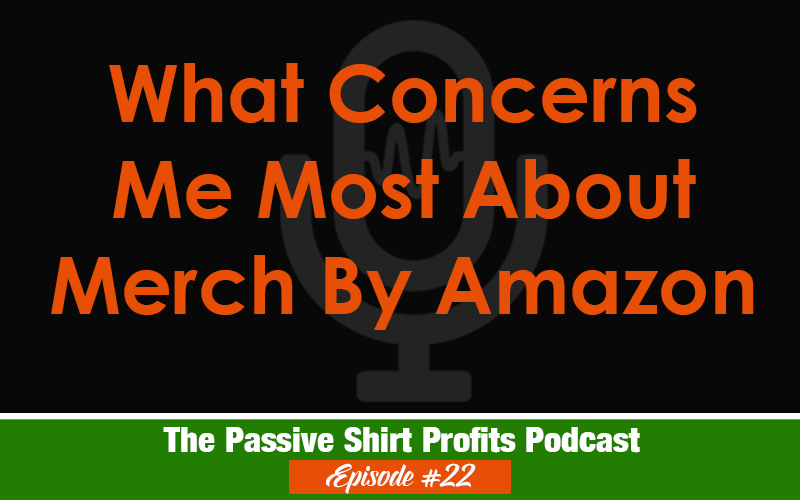 Just some honest chit chat about my biggest concern with Merch By Amazon. I’m 21 years old and I’m a student and I love POD sites as a hustle to earn money. What tier are you? ?and how much products do you have live? And how much is your average royalties a month?? Keep on doing what you are doing! You motivate me ! I love listening to your podcasts. I’m still waiting for MBA to get approved 4months now. But in the mean time I design on Spreadshirt EU & US. Thanks DJones, I’m on the 1,000 tier with about 520 products live. My royalties can be between $4,000 and $6,000 per month. It depends. October was super high because of Halloween and will be a record. Last time I checked I surpassed my previous $6,000 record. Good luck and thanks for listening!